Next year brings a double 50th birthday for Telford – both the town and Oakengates Theatre @ The Place will celebrate turning 50 in 2018. 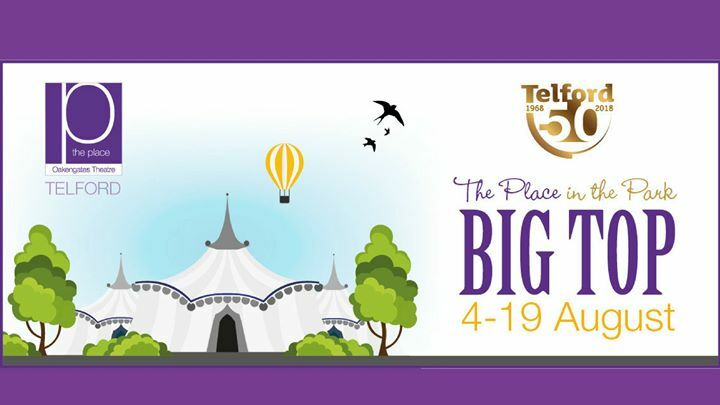 To mark the theatre’s landmark birthday, it is moving to the QEII Fields In Trust Town Park Arena next summer between 4-19 August to showcase an extravaganza of entertainment. The arena will host a magnificent Big Top venue that will seat up to 1,000 people and will be called The Place In The Park. This unique entertainment experience includes comedy, music, dance and children’s shows. Follow this event for more information on what is planned, show dates and ticket on sale dates.